Moi, physique agréable, grand, sportif, tendre, raffiné et attentionné. J’aime lire, écrire, etc., etc. J’espère que vous me lirez et me répondrez. Merci. I am 54 years... In march the 6.2015 I will be 55 years. I am from an english speaking island. I liking traveling especially by boat. I worked on a boat 5 years, as engineers. I like reading writing, tisten to music, sports ; and also I am interest in buddhism because of my belief in mediation. I don’t smoke, no drink, etc. 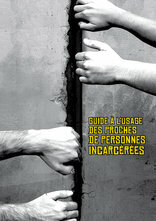 I am in prison a while now and faithfully waiting my liberation conditionnelle withing some time.